JGTA collects your personal information online when you voluntarily provide it to us. If you choose to apply for a Tour Card online, we ask you to provide limited personal information, such as your full name, the full name of your parent (or in the case that you are a parent of a junior golfer, the full name of your child), your telephone number, an additional telephone number in case we are unable to reach you on the first number, and your email address, specifically the email address that is associated with your membership with the American Junior Golf Association (herein referred to as the “AJGA”). – “Web beacons” “tags,” and “pixels” are electronic files used to record information about how you browse the Site. We use a third-party payment processor, Stripe, for all payments. The JGTA does not store credit card details and instead relies on Stripe for this. We also use Google Analytics to help us understand how our customers use the Site–you can read more about how Google uses your Personal Information here. Additionally, if you are a European resident, we note that we are processing your information in order to fulfill contracts we might have with you (for example if you make an order through the Site), or otherwise to pursue our legitimate business interests listed above. Additionally, please note that your information will be transferred outside of Europe, including to Canada and the United States. We want to provide site visitors valuable information, services and products. 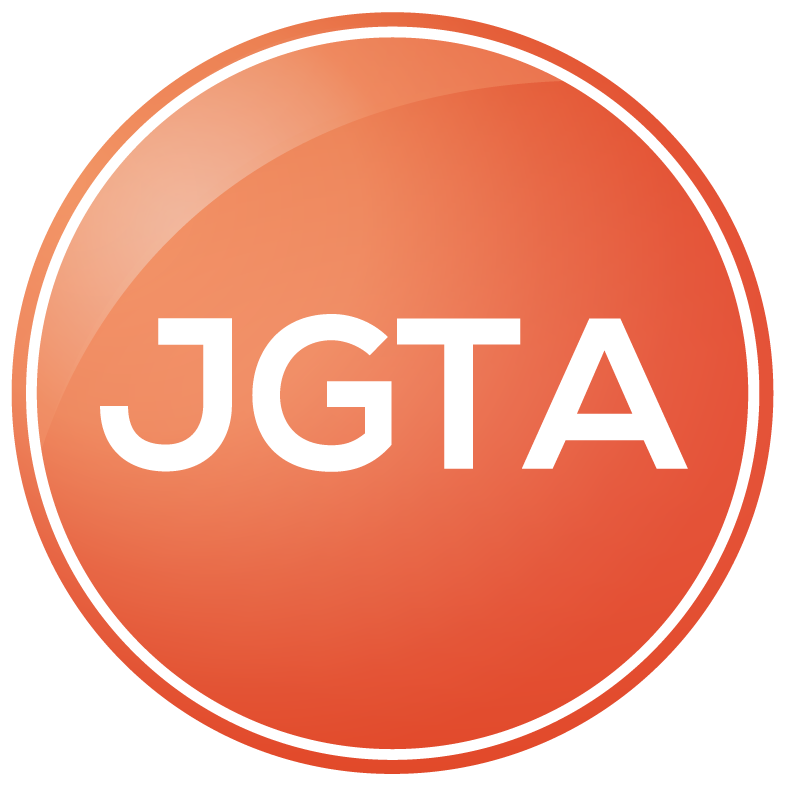 Featured programs and other site content within the JGTA website may link our users to third party sites. The JGTA does not control and is not responsible for practices of any third-party websites. The Junior Golf Tour of Asia (JGTA) is committed to ensuring the security and protection of the personal information that we process, and to provide a compliant and consistent approach to data protection. We have always had a robust and effective data protection program in place which complies with existing law and abides by the data protection principles. However, we recognize our obligations in updating and expanding this program to meet the demands of the GDPR and the UK’s Data Protection Bill. The Junior Golf Tour of Asia (JGTA) is dedicated to safeguarding the personal information under our remit and in developing a data protection regime that is effective, fit for purpose and demonstrates an understanding of, and appreciation for the new Regulation. Our preparation and objectives for GDPR compliance have been summarized in this statement and include the development and implementation of new data protection roles, policies, procedures, controls and measures to ensure maximum and ongoing compliance. Information Audit – carrying out a company-wide information audit to identify and assess what personal information we hold, where it comes from, how and why it is processed and if and to whom it is disclosed. Data Retention & Erasure – we have updated our retention policy and schedule to ensure that we meet the ‘data minimization’ and ‘storage limitation’ principles and that personal information is stored, archived and destroyed compliantly and ethically. We have dedicated erasure procedures in place to meet the new ‘Right to Erasure’ obligation and are aware of when this and other data subject’s rights apply; along with any exemptions, response timeframes and notification responsibilities. International Data Transfers & Third-Party Disclosures – where The Junior Golf Tour of Asia (JGTA) or transfers personal information outside the EU, we have robust procedures and safeguarding measures in place to secure, encrypt and maintain the integrity of the data. Our procedures include a continual review of the countries with sufficient adequacy decisions, as well as provisions for binding corporate rules; standard data protection clauses or approved codes of conduct for those countries without. We carry out strict due diligence checks with all recipients of personal data to assess and verify that they have appropriate safeguards in place to protect the information, ensure enforceable data subject rights and have effective legal remedies for data subjects where applicable. Legal Basis for Processing – we are reviewing all processing activities to identify the legal basis for processing and ensuring that each basis is appropriate for the activity it relates to. Where applicable, we also maintain records of our processing activities, ensuring that our obligations under Article 30 of the GDPR and Schedule 1 of the Data Protection Bill are met. Privacy Notice/Policy – we have revised our Privacy Notice to comply with the GDPR, ensuring that all individuals whose personal information we process have been informed of why we need it, how it is used, what their rights are, who the information is disclosed to and what safeguarding measures are in place to protect their information. Direct Marketing – we have revised the wording and processes for direct marketing, including a clear notice and method for opting out and providing unsubscribe features on all subsequent marketing materials. Special Categories Data – where we obtain and process any special category information, we do so in complete compliance with the Article 9 requirements and have high-level encryptions and protections on all such data. Special category data is only processed where necessary and is only processed where we have first identified the appropriate Article 9(2) basis or the Data Protection Bill Schedule 1 condition. Where we rely on consent for processing, this is explicit and is verified by a signature, with the right to modify or remove consent being clearly signposted. The Junior Golf Tour of Asia takes the privacy and security of individuals and their personal information very seriously and take every reasonable measure and precaution to protect and secure the personal data that we process. We have robust information security policies and procedures in place to protect personal information from unauthorized access, alteration, disclosure or destruction and have several layers of security measures. Like most websites, our servers automatically collect certain technical information when you visit our Website, including your Internet Protocol address, browser type, browser language, the date and time of your visit, the referring URL, and, if you have visited our Website before, one or more cookies that may uniquely identify your browser. We also collect information about your activities on the Website, such as the pages you access. Session cookies are specific to a particular visit and carry information as you view different pages, so you don’t have to re-enter information every time you change pages or attempt to checkout. Session cookies expire and delete themselves automatically in a short period of time like after you leave the site or when you close your web browser. Persistent cookies remember certain information about your preferences for viewing the Website and allow JGTA to recognize you each time you return. Persistent cookies are stored on your browser cache or mobile device until you choose to delete them, and otherwise typically delete themselves at expiration. Third-party cookies are placed by someone other than JGTA and may gather browsing activity across multiple websites and across multiple sessions. They are usually a type of persistent cookie and are stored until you delete them, or they expire based on the time period set in each third-party cookie. Cookies store data about your use, but they are helpful because they enable key functionality, such as checkout and login, and allow us to customize your experience. You can configure your desktop or mobile browser’s settings to reflect your preference to accept or reject cookies, including how to handle third-party cookies. We use several tools (described below) to collect information about use of this Website. These tools collect information such as how often you visit this Website, what pages you visit when you do so, what elements you interact with, what other sites you used prior to coming to this Website, and 3rd-party audience data (such as age, gender and interests). We use the information we get from these tools to improve our Website, for website analysis and statistics and respond to service requests you make. Some cookie and similar technology functions are necessary and vital to ensuring that JGTA works properly for visitors and users, such as: maintaining the security, safety, and integrity of the site, authentication and logging into JGTA (including remembering permissions and consents you have granted) and ensuring the ability to securely complete transactions. 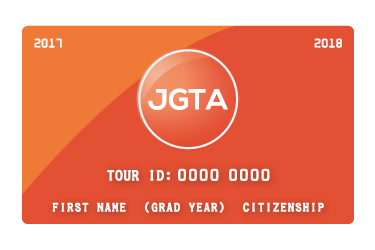 Some technologies are used to remember your account and preferences over time, such as remembering your account or keeping yourself logged in when returning to JGTA, maintaining your choices on JGTA features and how you want JGTA to appear, including keeping track of your preferred currency and country, and customizing content based on how you use JGTA. Facebook – We use various Facebook plugins and cookies to make it easier to share content and track usage of the site from Facebook posts and ads. You can opt-out of Facebook tracking here. Stripe: We use Stripe to provide payment services on our system and to track basic website activity to prevent credit card fraud. This is a legitimate business interest for both JGTA as well as consumers-at-large. Information gathered by Stripe is only used for fraud prevention and detection. We only use this information when improving our fraud prevention settings and when reviewing questionable transactions. Some technologies help provide performance data on how the services are functioning in order to improve JGTA and the services. This includes, for example, data on site functionality and speed to help us optimize JGTA, data on how the services are used, which helps us improve your experience on JGTA, and data to help us detect and gather information about bugs to help make GlobalGiving work better. Google Analytics: We use Google Analytics to determine aggregate performance metrics about our site. Google Analytics collects only the IP address assigned to you on the date you visit this site, rather than your name or other identifying information. We do not combine the information collected through the use of Google Analytics with personally identifiable information. We also leverage Google’s DoubleClick ad network to obtain aggregate demographic and interest data about of visitors. We have no method to map this aggregate data to personal data and only use this data provided by Google to better understand our visitors and refine our marketing strategy while keeping our overhead and administrative costs low. Certain cookie technologies are employed to make the site function for its intended purpose and are provided based on contractual necessity based on your agreement with JGTA to perform the services you have requested. These include the functions strictly necessary to the service noted above. Please note: Clicking the links above will redirect you to the appropriate third-party website. We are not responsible for the content of external websites. Opting out of Advertising Cookies will not remove advertising from the pages you visit; instead it means the ads you will see may not be matched to your interests. If you have any questions, comments, complaints or requests regarding this cookie notice, or our processing of your information, you can contact us at admin@jgta.org. Subscribe to the JGTA #InFocus Newsletter and get the latest news, updates and information on upcoming JGTA events.